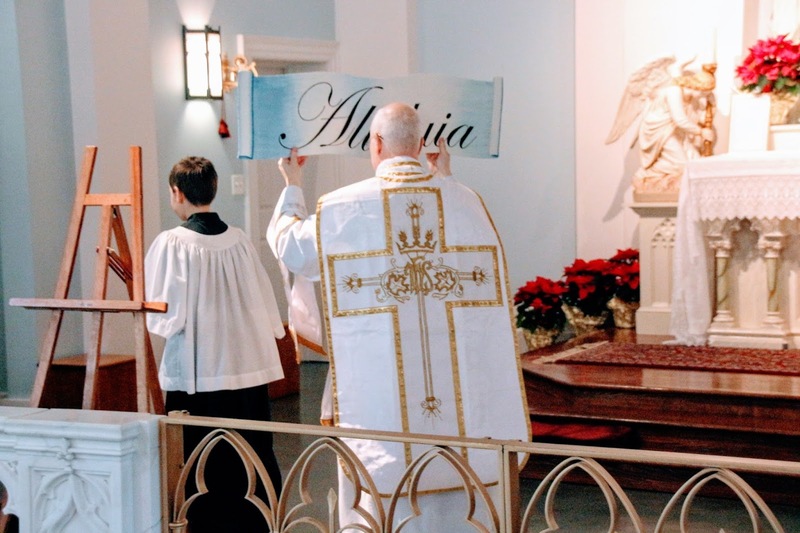 Many of our readers will have heard of the various customs related to the removal of the Alleluia from the liturgy on Septuagesima Sunday. 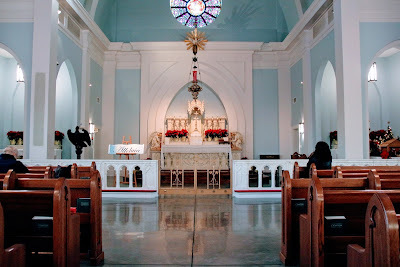 In the Roman liturgical books, this is done in the simplest possible fashion; at the end of Vespers of the previous Saturday, “Alleluia” is added twice to the end of “Benedicamus Domino” and “Deo gratias”, which are sung in the Paschal tone. 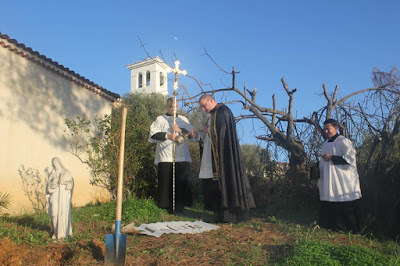 The word is then dropped from the liturgy completely until the Easter vigil. 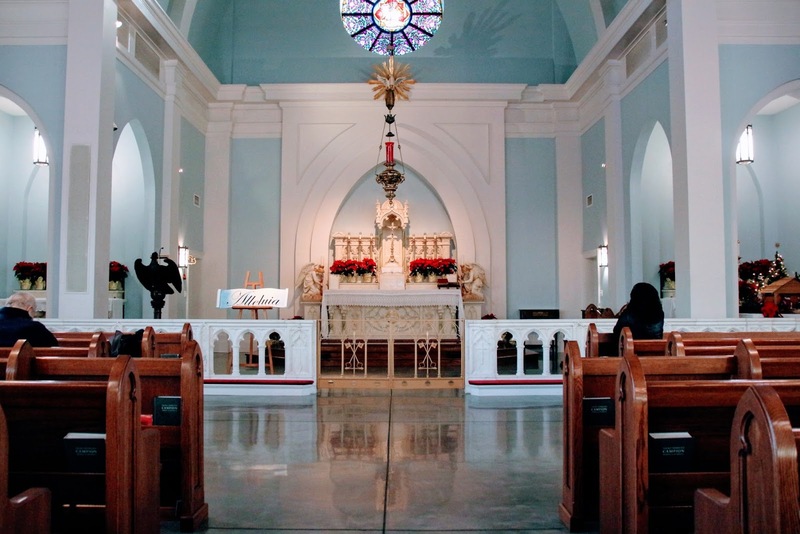 In some medieval uses, however, “Alleluia” was added to the end of every antiphon of this Vespers, and a number of other customs, some formally included in the liturgy and others not, grew up around it as well. 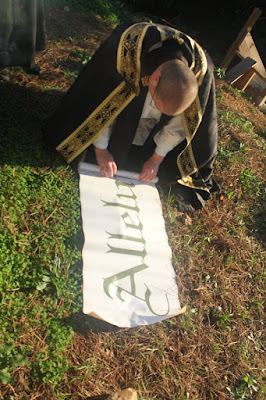 One of the most popular was to write the word on a board or piece of parchment, and then after Vespers bury it in the churchyard, so that it could be dug up again on Easter Sunday. 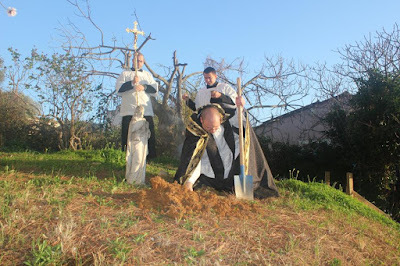 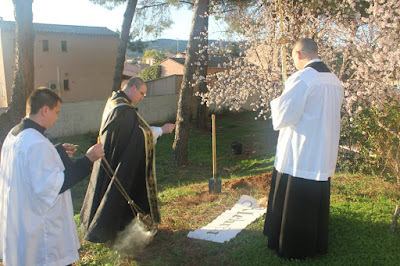 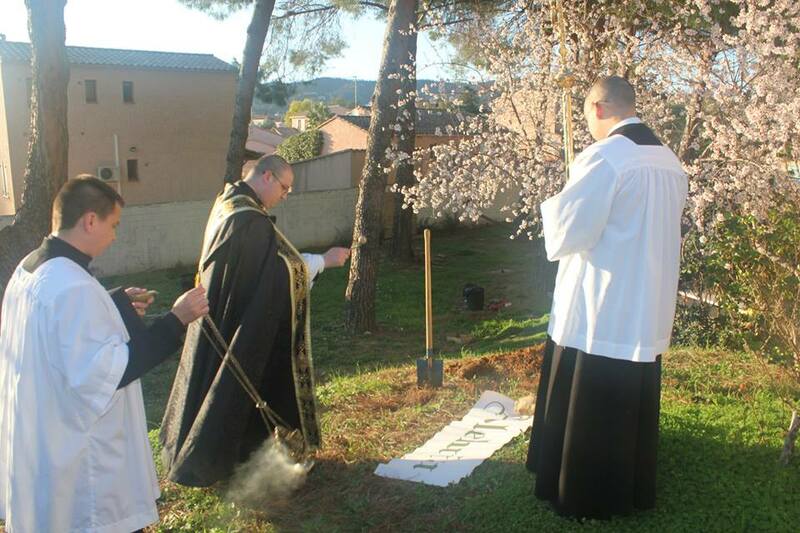 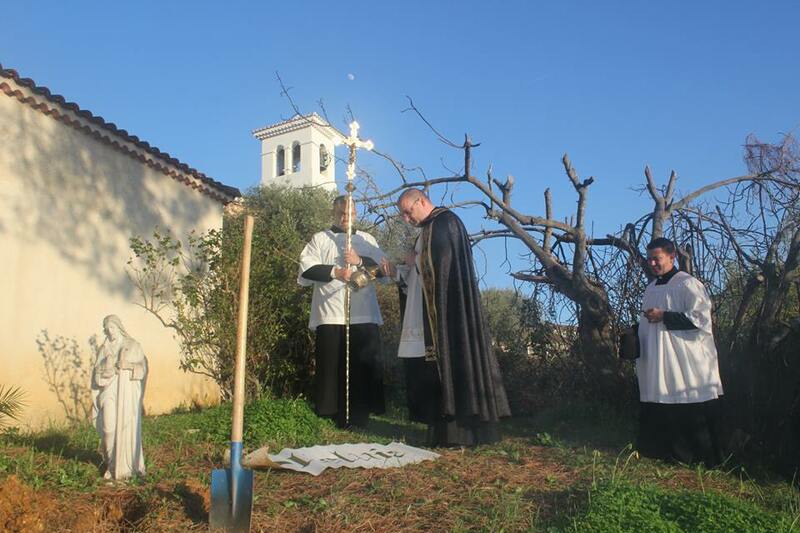 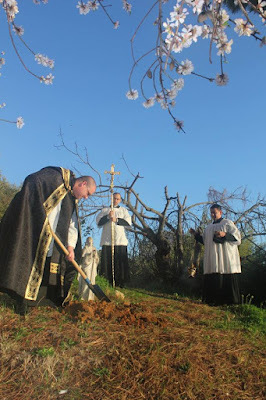 Our friends from the Fraternity of St Joseph the Guardian in La-Londe-les-Maures, France, observe this every year, wearing the black cope otherwise used only at funerals. 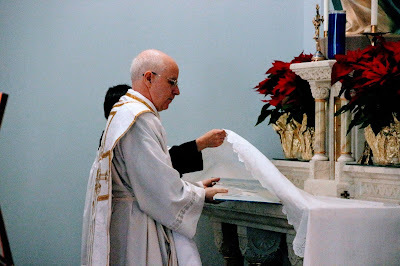 Fr Jeffrey Keyes sent us these photos of this ceremony done by the Marian Sisters of Santa Rosa (they of the famous amice-tie designs) at the Regina Pacis Convent in Santa Rosa, California, where he serves as chaplain. This year, they even made a little coffin for the Alleluia! Since all such customs are purely informal, one is free to observe them as best one sees fit. 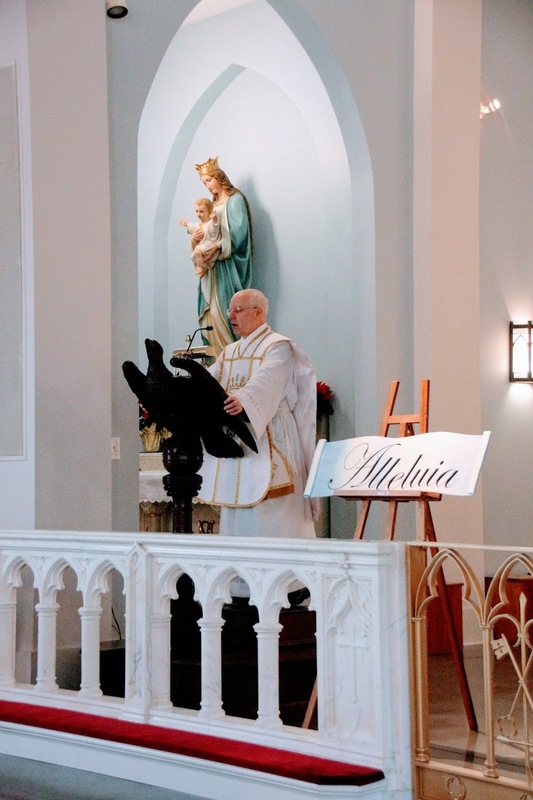 At the FSSP church in Chesapeake, Virginia, the Alleluja is buried under the altar-cloth of the altar of the Virgin Mary. 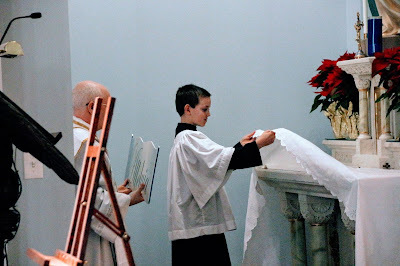 If any others readers have photos of this ceremony which they would like to send in, please feel free: photopost@newliturgicalmovement.org.